What small business owner hasn't worried about getting paid at some point? 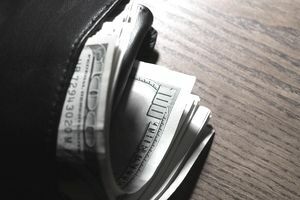 Whether it's the number of customers that are running overdue accounts or the client who seems to be reluctant to pay for the job completed, not getting paid is one of the most frustrating aspects of running a small business - and, when not getting paid chokes off your small business's cash flow, one of the most dangerous, too. Here are seven ways to make sure you're getting paid for the goods and services you sell. 1. Don't extend credit automatically to new customers/clients. Doing Credit Checks Can Really Pay Off explains how to do customer credit checks in Canada while How to Run a Credit Check on a Prospective Tenant explains the procedure in the U.S. It may be your business's policy, for instance, to never accept personal cheques as payment, but only cash, debit and credit cards. If you are considering extending credit beyond that point to individual clients or customers, you should have a procedure set up where the customer or client has to fill out a credit application and/or do a customer credit check. The fee for a credit report ranges from about $20 through over $1000, depending upon how detailed the credit report is, but it's definitely money well spent if it prevents you from not getting paid for that big job or a big sale. Worried that you won't be getting paid for that sale or service? If it's sensible in terms of the price of the goods or services, ask for a deposit or retainer up front. This is an increasingly common business practice for higher-ticket items and services; no reasonable customer should be offended by such a request. For instance, if you provide services, you might charge a percentage of the projected bill or a set amount as a retainer before you start to work on a project with the remainder due on completion of the task. Or break the bill into thirds, asking for a third before work starts, a third halfway through the project and a third upon completion. This seems like a no-brainer but I have personally dealt with businesses that haven't bothered to bill me for months on end for products or services rendered. Besides being annoying because I want to know exactly what the charges are, I can't help but wonder if the rest of their business practices are as slipshod. And with their own example, why should I be in any hurry to pay them? Customer/client invoices should be prepared and presented immediately upon delivery of your goods or services to the customer or as soon as reasonably possible. Not doing so can make your business look indifferent to getting paid and slow down your cash flow for no reason. Waiting to prepare your invoices at the end of the month, for example, you may be adding as many as thirty extra days to your cash flow conversion period! Small business accounting software and POS (Point of Sale) systems make quick invoicing easy. If you like getting paid promptly, don't leave it up to the customer or client to decide when your invoice should be paid. Rather than giving them invoices that say vague things such as "Payable upon receipt", make sure your invoices state specific payment terms, such as "Payable within 30 days" or "Due Date: ____________". Waving a carrot at customers or clients, such as offering customers a discount for paying their invoices early, can help you get paid more quickly too. For instance, if your usual policy is to have payments due in 30 days, offer a small discount such as two percent to customers who pay within 14 days. 6. Establish a follow-up procedure for customers who miss payments. The more quickly you follow up on a missed payment, the better your chance of getting paid. So set up a system for flagging late payments if you need to and a standard procedure for contacting the customer or client when his or her payment is late. Nowadays, there are many channels that you can use to contact the customer. However, some are more effective than others. If time allows, start with a phone call to "touch base" with the customer or client. You want to come across as friendly and polite, not threatening in any way. Sometimes the person has just forgotten or missed seeing a bill and a quick phone call is all it takes – meaning you get paid and you don’t have to go through any of the rest of the collections procedure. If time does not allow or if a phone call is unsuccessful, the next step of your collection procedure starts with a letter that simply states the bill is overdue and requesting the customer's immediate attention to the matter and then moves through a series of collection letters expressing increasing concern. Sending collection letters via email automatically creates a copy of the collection letter for your files - and automatically date stamps your message. But because of email filtering and email overload, it may not be a very effective way of getting your collection letters to customers and clients. You'll want to send them in other ways, too, such as regular mail, fax or even courier, depending on the size and importance of the debt. If there is no response to these letters, you are left with choosing between writing off the bill as a bad debt or turning the account over to a collection agency. Unfortunately, even when you use all of these proactive ways to get paid consistently, you'll still have some overdue accounts. When the carrot doesn't work, it's time for the stick – otherwise known as collections. Collection agencies collect debts for a fee or percentage of the total amount owed. This fee is based on how old the debts are (the fresher the better) and how much business a creditor has to offer. The standard rate in the industry for business-to-business accounts is 30 percent. The rate for collecting consumer accounts is higher. However, collection agencies have experience with and knowledge about debt collection that we, as individual business owners, don't have and hiring one can be well worth it if the number of outstanding accounts receivable warrants it. If you do hire a collections agency, note that although in Canada collection agencies are regulated by the province in which they operate, that doesn't mean that you have to hire a local collections agency; just that you need to be sure that the collections agency you hire is fully licensed and bonded in your province. As you've already guessed, the best ways to ensure you're getting paid for the products you sell and the services you provide is to set proactive policies and procedures in place to cut down on the number of delinquent accounts receivable your small business has to deal with. Things such as having credit policies in place, performing credit checks on customers and clients, having a partial payment policy and being clear and upfront about your payment expectations both in person and on your invoices will go a long ways towards ensuring that you get paid and your small business doesn't get stuck with a lot of bad debt.